There is valet parking provided by Jack London Square as well as underground parking in the lot at the base of Broadway. Live jazz on Friday nights from 9:30 pm to midnight. We provide a full catering services from full sit down dinners to cocktail receptions small and large. 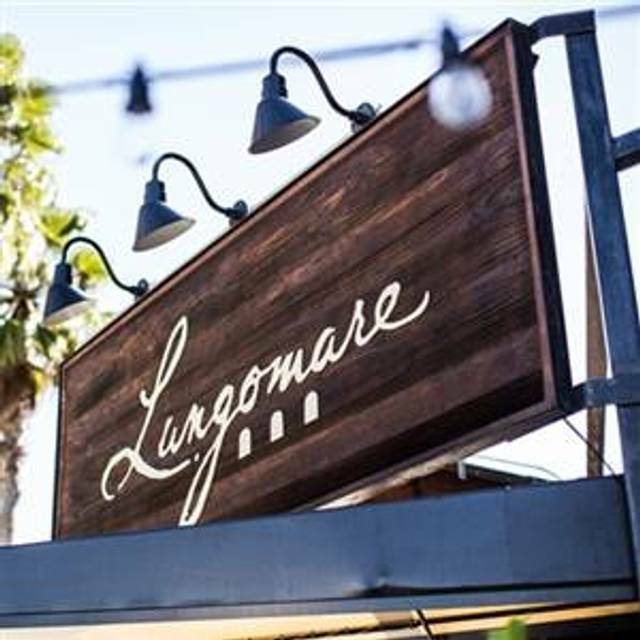 Lungomare, bringing a taste of Italy to Jack London Square. With a focus on the regions of Liguria and Tuscany we offer fresh, house-made pastas and pizzas, both available gluten-free, house-cured meats, seafood crudo and many other delicacies. We feature hand-crafted cocktails and soft drinks in our full bar. We offer patio dining with views of the estuary. We will a wonderful buffet for $60 per person!! the buffet will start at 9 am till 4 pm!! 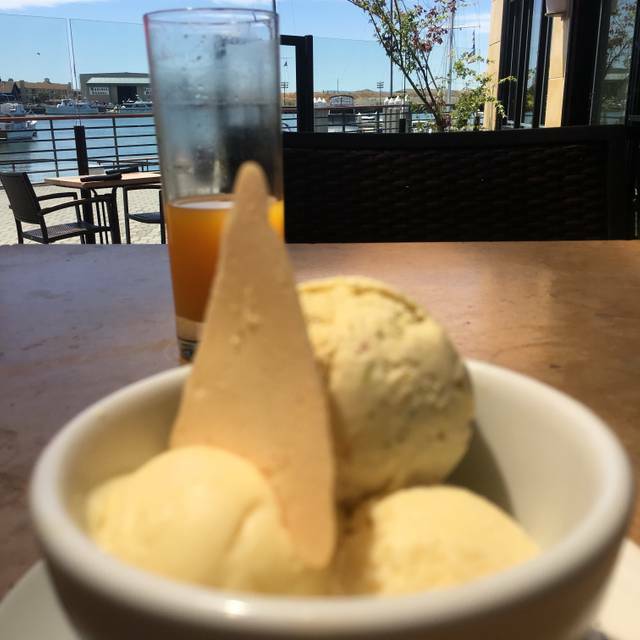 Loved the waterfront view, the food, and the friendliness of the waitstaff. For some reason, we were slow to get dessert and to receive the final tab, but that won't keep us from coming back. Very lovely experience! Lungomare is always an excellent choice. Saturday evening was a bit loud but we were far enough in the back that it wasn't that bad. Very nice meal. Great margaritas. No, I will not write a review that long. I don't know if you are under staffed but we ordered items that were not delivered. We asked for Parmesan cheese for one of the dishes that was not delivered until the pasta was consumed. We had to hunt down our server to get the bill. The view was amazing, the waitress was extremely hospitable and efficient, the food was really good, and I want to go back! I'm going to try one more time. At this point I wouldn't recommend to a friend. We had a wonderful dinner here and the staff took incredible care of us. Martina was our server and she was so friendly and had amazing suggestions! Her enthusiasm and attention to detail definitely made our dinner very enjoyable! We had the mushroom soup and kale sprouts for appetizers and the pesto fennel sausage and pesto trofie for our main courses. Each dish was just spectacular! We went on a Tuesday evening so the dining room was not too crowded. All in all, a super pleasant evening and will definitely go again! Went there for Sunday Wine Down Dinner at the bar to watch the Warriors game. Place was quiet (not at all busy); however, service was bad. TJ (wore green hat, A's t-shirt) was very rude. Stephanie became our server and she was pleasant. Since we sat in the corner, I had to "look" for her to ask for more wine -- I shouldn't have to do that! After the Warriors game was over, I asked Richard to change the TV to Tennis Channel. He disappeared so I thought he went to change it; not the case, he just disappeared. Perhaps he went to his dinner break??? Ask Stephanie to change to Tennis Channel and she was very helpful and accomodated us. It'd be tough to recommend family/friends to go there to watch sports from here on out. Sunday Wine Down Dinner is a good value but diners especially the place is nearly vacant. Service (bar and dining room) need to step up. Maybe it should be coming from the top down...? It wasn’t busy, yet I waited by the front desk to be seated for 20 minutes. And I had a reservation! Also, there’s a code to get into the bathroom, let me a gas station, which was off- putting. 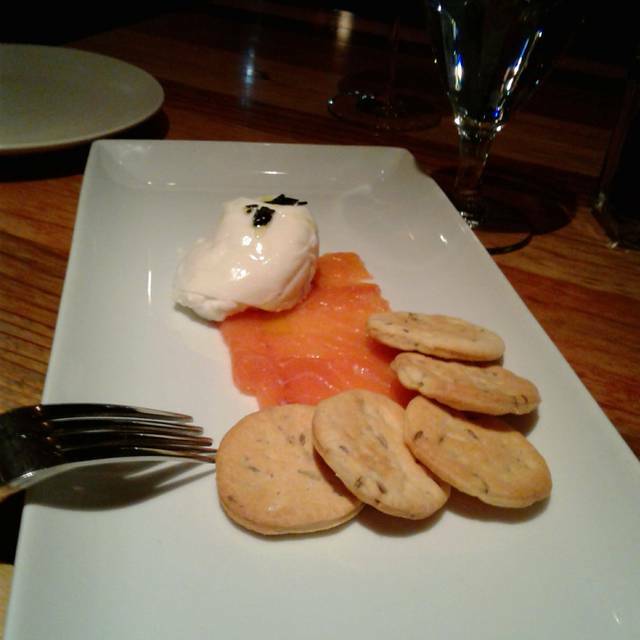 We visited as a "Dinner Committee" to explored holding a fundraiser at Lungomare. Great space! The food was very good (except we all said "needs more garlic") and the whole JLS vibe is nice. From the welcome of the hostess, to seating personnel and wait staff, top-level service. The best views of the bay and the sunset. Ask for bread! The focaccia is bread is to die for. I ordered from the winter wind down prixe fix menu. The chicken cacciatore was so flavorful, as was the polenta. My husband had the bolognese. So good that I might try that twist on our family favorite at home. Do t skip dessert. The lemon cheesecake was so light and creamy that I wish I had brought a piece home! Definitely on our rotation of dinner out restaurants. Great food. Accommodated our gluten free needs perfectly. Service at this restaurant is among the worst in the Bay Area.We first went there when it opened. It took one-half hour to see a waiter and when no food had arrived after one hour, we left. We went again about 6 months ago. Service had slightly improved but it still took 40 minutes to be served. Last Sunday, we waited one-half hour for a waiter and food was served about 25 minutes later. Food was good but unless they improve service, they will fail. Few patrons in the restaurant and service has to be the reason. I doubt we will return. Great service and ambiance. Food good but not great! Tons of space for our group and a very accommodating staff. Really enjoyed the overall experience. food over priced for what it is and not very good. i was unimpressed.. Don't mind paying price when the food is good. ..Guess i payed for ambiance...Service and wait staff were great. We came here for lunch on a rare, for this season, beautiful sunny day. We were seated by the window and could look out on the harbor. The restaurant was quiet, unpretentious and not crowded. We were able to have a conversation without having to raise our voices. The food was good. I prefer their diner and brunch menu. The lunch menu was limited to salads, soup, panini and the like. I would have liked to have had some fish at lunch. But the tomato bisque was wonderful, and the hamburger meat was top quality. The salads were generous and my dining mate told me that his panini was good. The hit of the lunch was the pistachio gelato. So good! All in all a lovely place to eat. The only drawback was that parking was very difficult at the lunch hour. The nearby garage was full, as was the valet parking. Service was excellent, the food so-so. Cannoli desert inedible, but the waitress removed it from the bill and comp’ed us a delicious chocolate mousse. 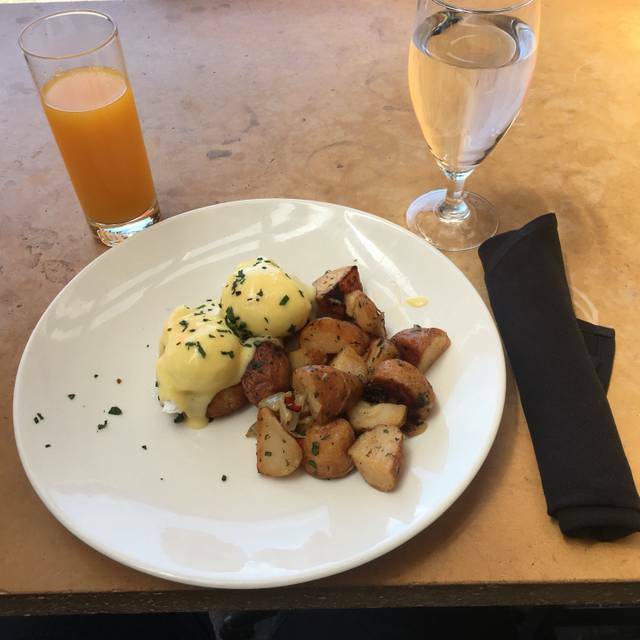 We had a Sweet Sixteen brunch fir my daughter and the food and service were wonderful. Thanks fir making it special! I had the caesar salad with chicken, which was a perfectly dressed romaine salad with an unexpectedly (in a pleasant way!) good-sized roasted chicken leg and thigh with a glass of Urban Legend red. 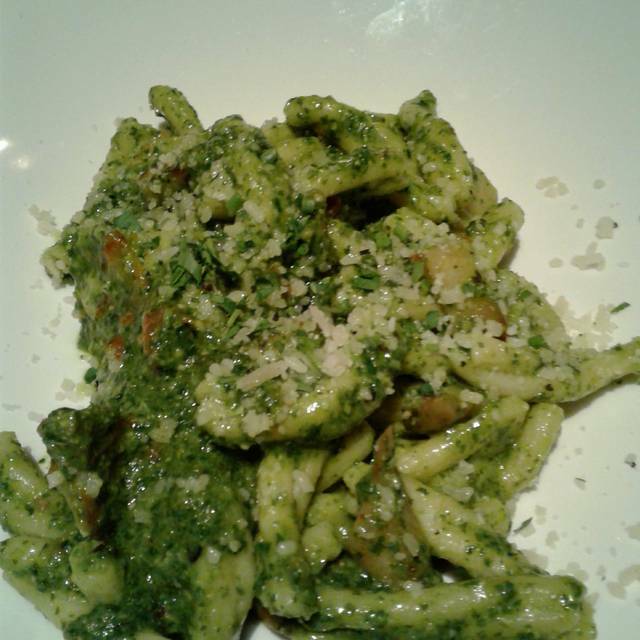 My friend enjoyed an outstanding veggie pasta with cauliflower, broccoli, and ground hazel nuts. 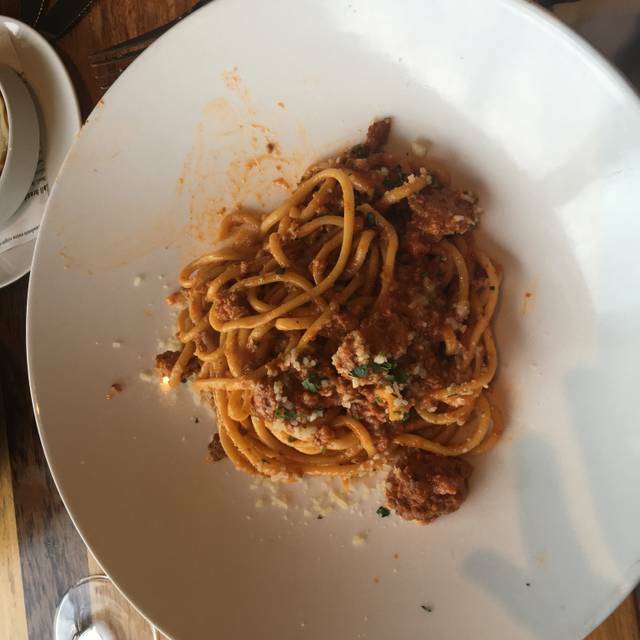 I frequently dine at Lungomare but my friend, who lives in San Francisco, hadn't been there before and was very impressed. Our party was treated like royalty! (Kids and adults totally 12.) Sunday night "Wine Down" dinner deal is fantastic. Food was good. Server was good but only one server for too large an area and kitchen way backed up. Service: Waiter was unfamiliar with many menu items. Had to go and ask question repeatedly. Ambiance: Wait staff uniforms (T-shirts w/ complany logo) were a little too casual for this type of restaurant in my opinion. Some were in plain clothes and others had inappropriate head wear on. Uniform/Clothing choice reminded me of Sports Bar attire. Food and Price were great. Drinks were fantastic. The food was good. Nice selection of beer and wine. We met at their biggest table (10) for a business lunch and light presentation. We do so every month. Works good and we really enjoy the view, ambience, and managements willingness to let us occupy their biggest table for a couple of hours. Waiter recognized us and gave us a lot of leash, not wanting to try to push us out the door, which I really appreciated. I should have reminded him that we prefer separate checks. Although he remembered us, he didn't remember the separate check request. That said, I should have reminded him. Not a big deal and it didn't diminish the nice time we had. We will come back each month for our business meetings. Very nice setting - perfect for lunch, as it was uncrowded and the weather was very nice, with nice views. 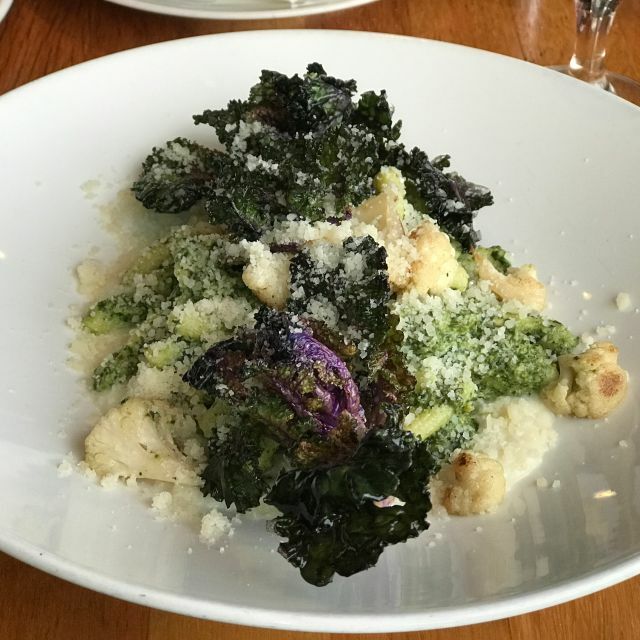 Good 3-course prix fixe menu for $22: kale salad, pasta with bolognese, sorbetto. 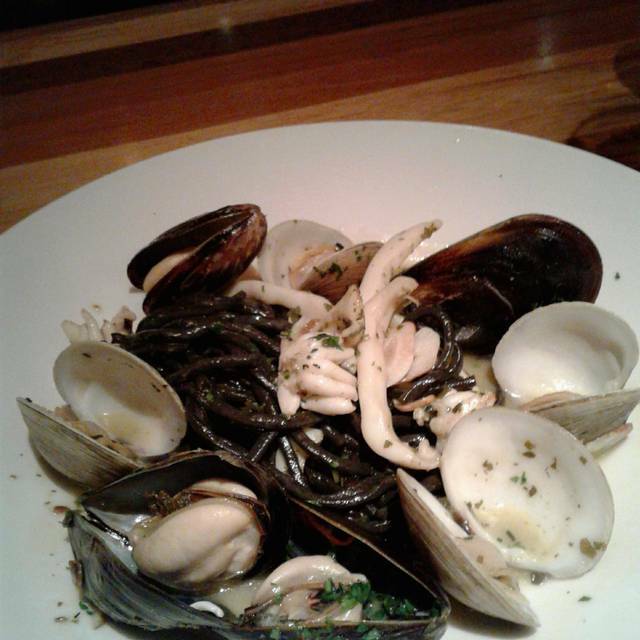 Very tasteful mussels, well-priced selection of wines by the glass, but the $19 margherita pizza was lackluster and rather tastless. Better pizzas can be found elsewhere for far less. That was the only drawback to the lunch. Otherwise, it was a very nice afternoon. Great views, service, and food. Very consistent delivery. The food was mediocre . We ordered the clam chowder, it was very thin and tasted like it was made with more water and not enough cream. The bagel with salmon was like a mini bagel. Not regular sized and the hole in the toad, had a piece of toast that was slighly burnt. We ordered the egg panini which was pretty tasty. Finally we were celebrating an anniversary which i kitef on my reservation, but nothing came if that. A little disappointing. 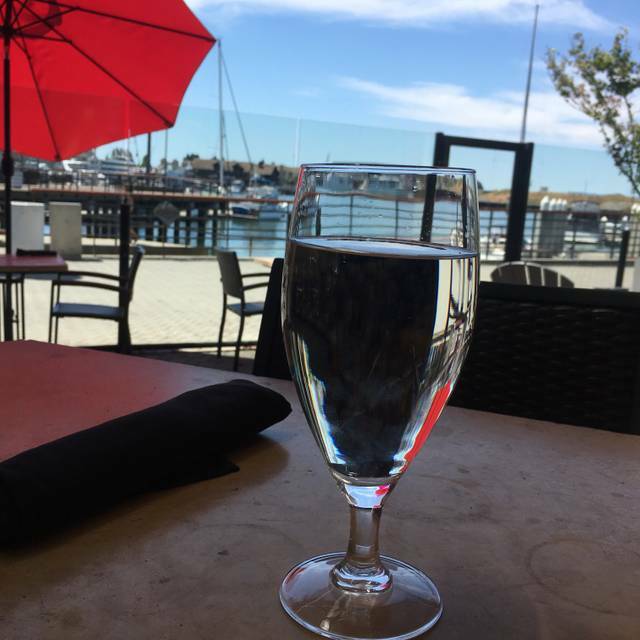 The restaurant was nice and clean and a had a great view of the water. Our waiter was nice but he forgot to enter a small part of the order which i wasnt happy about as we were about finished. So all in all it was an "ok" experience. Overall the food was tasty but thought that the portions were sparse. The octopus was more potatoes than octopus and the bolognese was very good but too al dente on the pasta and no spoon given for the sauce. Needed to prompt the wait staff for silverware, drinks and check. Not attentive and served by kitchen help with rubber glove on hand. A bit put off and felt unimportant as a customer. The crab salad was loaded with fresh Dungeness crab, fulfilling my craving beyond my expectations. Then came the beautiful squid-ink pasta which was superb, too. I love this romantic, special-yet-casual spot in Jack London Square. And the service was friendly and attentive, even on a very busy night. Ambiance was very nice for a more-than-casual night. Food quality and portions were so-so for its price. It seems like you're paying more for the location and ambiance, than the food. Staff was friendly and accommodating. We arrived early for our reservation and was seated at the bar. Our waiter was very nice and attentive. My entree was delicious, my husband complained that the rib eye didn’t have a vegetable accompaniment, but the steak per se was ok. Overall it was a nice dinner. I think we went on a busy night so the food was was average and over-priced. The service was good so we will try it again. Good wine selection. Service was a little slow. But worth the wait. Valentine’s Day dinner. We will return again on a less busy night. It seems they put together a nice menu day to day. Great service, nice ambiance. The kitchen was the only part that was loud. But didn’t hear a peep from the bar area. Everything was wonderful except the pasta was too al dente. Our server was so awesome. He made our night. So disappointed. There were 5 of us for lunch and only a few other tables occupied and the service was sooo slow. Then, 4 of the lunches arrived and the 5th one took another 5 minutes. Sad plating - poorly composed panini with sad looking greens on the side and small for the $14 price. Was embarrassed l suggested this place for a birthday lunch. The only good thing was the free dessert for the birthday girl. Will never go back.